Here it is! 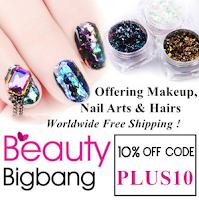 This is the silver chrome polish from BeautyBigBang. Whenever there are chrome polishes, the best way to judge them is always the silver I think. If they can do a silver chrome properly then they've hit the mark and this polish hits the mark. So far I've swatched the green and the pink from this collection and I've been pretty impressed to be honest with you. Again it's not true chrome but you can see reflections in it and it is shiny and metallic. Like the others, it comes with the base coat 'activator' and you can't wear normal topcoat like Seche with it but could possibly prolong the life of it with a gel topcoat. This is two coats with no topcoat. While the base coat takes a good 10-15 minutes to dry the polish itself takes on 2-3 minutes to be completely dry and as soon as it starts drying, the chrome effect is visible. 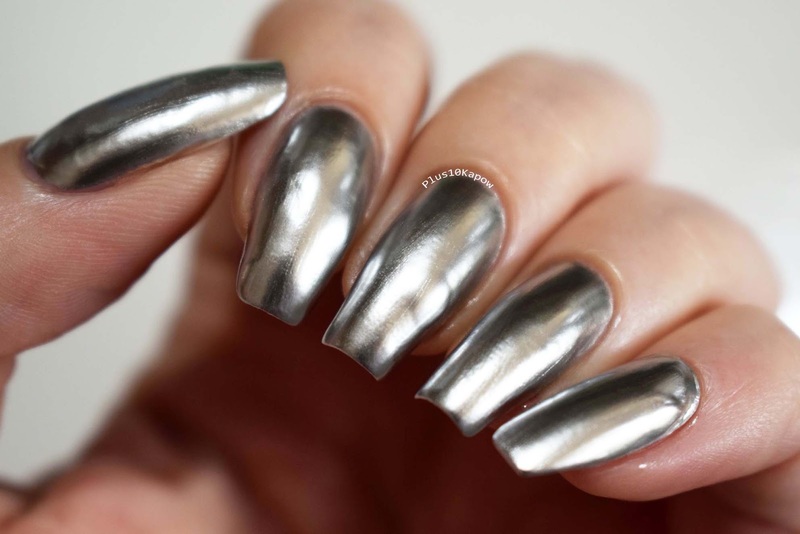 You can find the silver chrome polish here for £5.39/$6.99 and don't forget that you can use code PLUS10 for 10% off your order, just pop in the code at checkout.